To celebrate being short-listed for four festival awards, Belladrum Festival is putting a limited 500 weekend tickets for the 2010 festival (6th and 7th August) on sale at the same price as they were for the 2008 and 2009 events - £80 plus postage and booking fee . The festival was sold out in 2009 and once the early birds have gone, new prices for the 2010 event will come into effect. These early bird tickets are available exclusively from The Ironworks on www.ironworksvenue.com, or by calling 0871 7894173 or in person from The Ironworks, 122 Academy St, Inverness (open for business 10.00 AM - 6.00 PM Monday to Friday). Tickets are on sale from 10.00 AM Friday October 23rd. Thanks to voting by Bella fans, the festival has been short-listed for four 2009 Festival Awards: Family Festival Award, The Grass Roots Festival Award (Bella won this last year): Best Medium Sized Festival; and Best Toilets! Even if fans have voted already in the first round, a second vote increases the festival’s chance of winning. To vote for Bella, fans should go to www.festivalawards.com and register votes by 4th November. Winners are announced on 19th November.  By voting fans could win a pair of tickets to any of the winning festivals in this year's awards! Belladrum ’09 featured headliners Editors (currently No1 in thealbum charts) and Ocean Colour Scene plus a raft of other acts including: Twin Atlantic; Aberfeldy; The Saw Doctors; Shed Seven; British Sea Power; Seth Lakeman; Alabama 3; Sons & Daughters; Glen Tilbrook & The Fluffers; The Peatbog Faeries; Lau; Toploader; Treacherous Orchestra; Transglobal Underground; Tommy Reilly; De Votchka; The Phantom Band; 3 Daft Monkeys; Edward II; Kid Carpet; Sam Isaac; Broken Records; Magistrates; Healthy Minds Collapse; Sparrow & The Workshop; The Lost Brothers; and Scooty & The Skyhooks. This year the festival was supported by Homecoming Scotland 2009, EventScotland and Highland Council. Iain333 - are you camping? Reason I ask is that there doesn't seem to be an option to get car park passes with the Early Bird tickets.